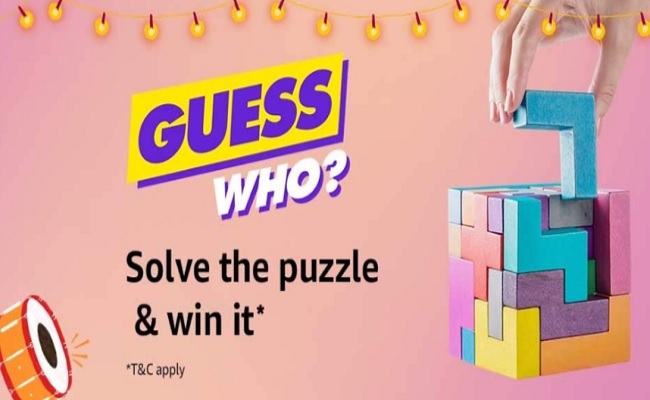 Amazon Guess Who Puzzle Contest (07 Oct, 6Pm-10Pm) | Guess the product in the jigsaw puzzle and get a chance to win it. 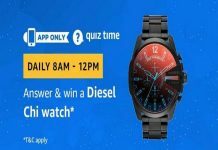 Contest applicable only on Amazon app. 2. 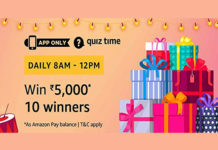 On Amazon app homepage you will see the banner “Guess Who?”, Click on it. 3. Now you will see the Puzzle Questions like below image – You Have to Solve that by finding the right product from Amazon app. 4. Now Guess the products > Go to Product Page > There will be sticker of Guess Who? Contest below product > Click on ‘Claim Now’. 1. 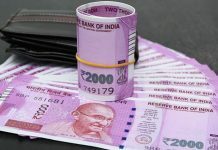 This Contest will be live from 06:00:01 am (IST) to 9:59:59 pm (IST) on October 3, 2018 to 9:59:59 pm (IST) October 9, 2018 (“Contest Period”). 6. The participants who answer the Contest question correctly will be eligible to be the winners. The winners will be declared by November 30, 2018. There are a total of 30 puzzles to be solved. There is 1 Prize for each of those who are declared winners at the end of the Contest Period. The Prize will be delivered to each winner on or before November 30, 2018.